Featuring various voice actors from the series. Bandai Namco will host a Tales of series 23rd anniversary broadcast titled “Tales Room” on December 8 from 20:00 to 22:00 JST, Bandai Namco announced. On December 15, 2018, the Tales of series that began with the release of Tales of Phantasia on December 15, 1995 will celebrate its 23rd anniversary thanks to the long-standing support of its fans. 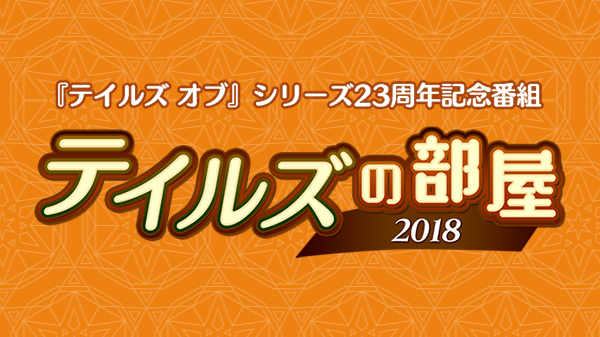 The “Tales Room 2018″ web broadcast that celebrates the Tales of series’ anniversary will welcome the 23rd anniversary together with the series’ voice actors and fans. Also, we will deliver the latest information from several contents currently in development.